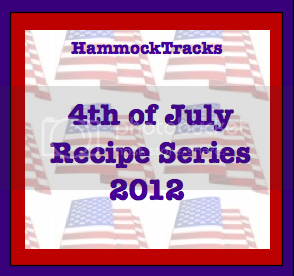 Today is the last day of the Fourth of July Blog Hop Series hosted by Savannah of Hammock Tracks. 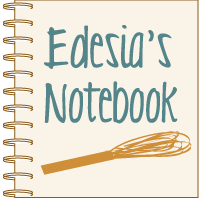 Today we are sharing beverage recipes. There is a pin on Pinterest with a picture of a beautifully pink beverage and the pin description calls it "The Sarasota" and gives the recipe. The problem with that pin is that the pin originator made up this drink recipe, but didn't bother to photograph it, so she posted the recipe on Pinterest with a picture of someone else's raspberry lemonade recipe that she stole. It is Pinterest users like that who cause copyright problems. :( As soon as I found out the problem with the pin, I deleted it, and recommended that others delete it as well, but I did copy the recipe onto a Word document, because it did sound really good. So here is "The Sarasota" with a real picture to go along with it! Combine all ingredients in a large pitcher. Enjoy! Now, I have to say that I didn't make the recipe exactly as stated. I couldn't find frozen raspberry lemonade in any grocery store around me. I looked at two of them with no luck, then actually called three others, but no one carries it. I know that Minute Maid makes it, but they don't have a "where to buy" function on their website, so I have no idea where to buy it. We ended up getting some last minute from Schwann's, but it was a little bit different. The containers were smaller, and they didn't make as much as the regular cans do. So my version was improvised, but it was still really good. I used Moscato, and a word of warning: it is very sweet. But I love sweet fruity drinks, so I loved it. If you don't like your drinks super sweet, try using a drier white wine instead of the Moscato. Lesa this looks so satisfying. I am going to make this for the 4th. And I am pinning it! Ohhh yaaahh something special! I love the bubbly drinks. Delicious! I like fruity drinks on the sweeter side too! This looks like a real thirst quencher! The pink flamingo glass is so cute. way to be on the road to weight loss is to take the pounds off quickly and keeping your health in mind. This type of diet is based on the justification that grapefruit has a fat-burning enzyme or identical property. the intensity and dramatic appeal of opaque hair color. Are celebrities' bodies really as perfect as many of them appear.